I don't follow the concept of creating a bar called Dive Bar that is not a dive bar. 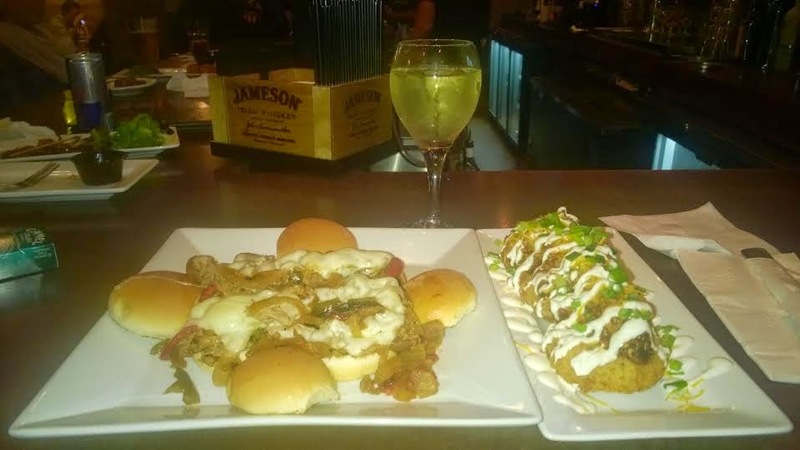 Here are some of the reasons Dive Bar & Grille in Lawrenceville is not a dive bar: their happy hour special features wine, you can't smoke inside, there are no pool tables, they have many fancy light fixtures on the walls, the bathroom was clean, nothing was broken, the bartenders were actually helpful and you can't spit on the floor. Like I said, not a dive bar. There is a silent dignity to hanging out in a real dive bar. At a real dive bar no one will talk to you and everyone just enjoys their cheap drink in isolation. Co-mingling is not encouraged. Dive in Lawrenceville had a much more convivial atmosphere. People were telling jokes, taking selfies, enjoying Tinder dates and talking about their families. It was enough to make a real dive bar patron vomit. Again, vomiting is a behavior typically encouraged by real dive bars but not by Dive Bar and Grille of Lawrenceville. Interestingly, Dive had a large number of appetizers that were discounted for happy hour. However, the discounted appetizers were not isolated from the non-discounted appetizers on the menu. I wonder if bars consider what a huge waste of time this is and how frustrating it can be to patrons. I watched the bartender explain the specials at least five times throughout the evening. Watching his finger bounce around the menu while explaining the specials was like watching someone explain potential nautical routes in the 16th century. Pictured above are the cheesesteak sliders and the loaded croquettes. Priced for happy hour at $4.50 and $5 respectively. (Not bad price points!) The sliders could have benefited from the use of a more interesting and less stale bread option, and were otherwise bland but passable. The croquettes could have been a knock-out, but the potato pancake was more like a hush puppy than a standard potato pancake. This greatly detracted from the dish as there was a certain mushy quality to the potatoes resulting in many plates of unfinished potatoes throughout the bar. The pulled pork on top of the mush was fresh, well seasoned and delicious. I have to say that I found my experience at Dive bar enjoyable and I'd recommend stopping by. I'm still struggling with the concept though. Would it make sense if I opened a three star hotel and called it Rat Nest Motor Inn? Perhaps in the age of hipsterdom it is just cool to be considered a dive bar even if you have an extensive wine list and an attractive and helpful waitstaff. I love Dive! You have to try the Southern Comfort Crazy-Dilla and the Berry Sangria. I can't get enough of them!